Could Bugatti be trying to distract attention from a certain new hypercar revealed this week? If they are, this is a rather impressive feat to use as a diversion. In terms of words written, the Mercedes-AMG Project One has probably swallowed up most column inches and online articles from the Frankfurt Motor Show. Almost enough to make Bugatti feel a little outshone it seems. How do you get the attention back when faced with 1,000hp of F1-engined insanity? Set a new world record, and involve a high-profile motorsport legend to do it, of course. Which is exactly what Bugatti did, wheeling in Juan-Pablo Montoya to set an astonishing time for running from a standing start, to 400km/h (249mph) and back to a complete stop again. 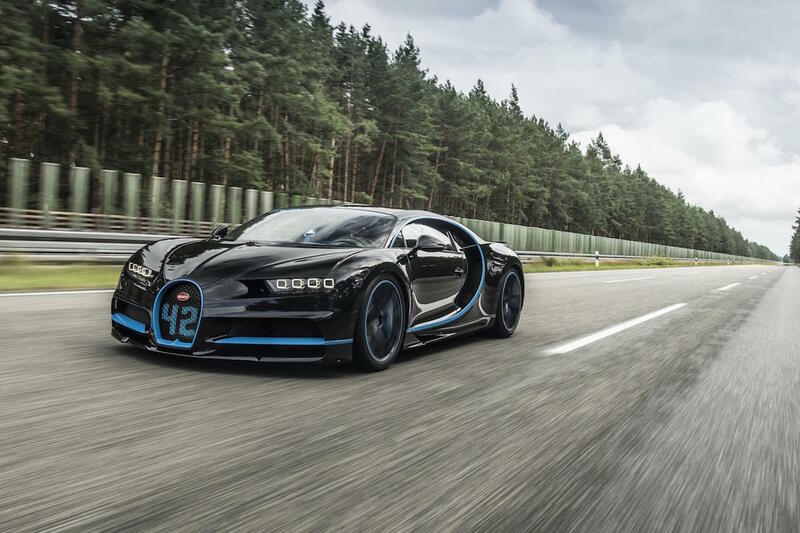 The whole process took a slightly mind-bending 41.96 seconds, which is testament to the epic power and traction of the Chiron, but also the immense braking ability. The acceleration from zero to 400km/h took 32.6 seconds, but the Chiron needed just 9.3 seconds required to come to a halt. All of this was completed in 3.12km, 491 metres of which was used for stopping. Will Mercedes-AMG enter into the epic contest with the finished Project One? Who knows, but for now Bugatti has kept some of the limelight focussed on the Chiron, and plans for even more records to be broken in the near future. Next Post BTCC 2017 | Silverstone – What did we learn?